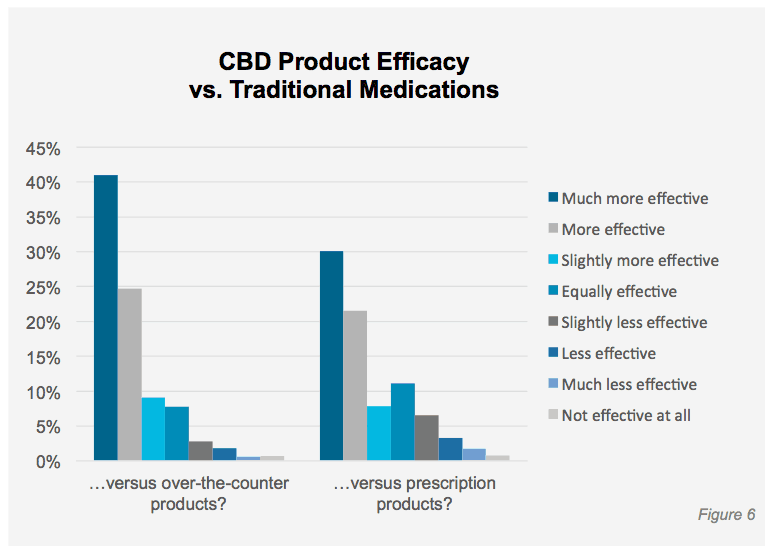 A new study shows that many consumers are giving up conventional pharmaceutical drugs in favor of CBD and cannabis. In a study released in early August, market-research firm Brightfield Group surveyed 2,400 registered users of Hello MD, a medical cannabis education and advocacy website. This figure includes both strains of psychoactive cannabis, a.k.a. “marijuana,” with high levels of CBD and CBD-only products like CBD oil supplements made from industrial hemp. 80 percent said they consume CBD in some form at least once a week, with 41 percent using it daily. The vast majority, about 82 percent, reported that CBD offered significant relief from their ailments, which ranged from anxiety to chronic pain. Although the research has some limitations, it’s compelling evidence that CBD can have healing benefits. People use CBD for diverse reasons, according to the study. 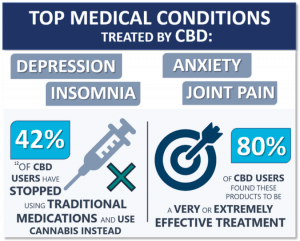 However, neither CBD nor any form of cannabis are miracle cures and it’s important to note that most people, or 57 percent, reported that they continue to use both CBD and pharmaceutical drugs together. There was also no placebo group as one would find in conventional “double blind” medical research.